This is a Jazz for Peace sample education series concert. Education Series Concert at the Soul School Clinic in Kansas City. Jazz for Peace is a professional jazz group led by internationally renowned pianist/vocalist Rick DellaRatta. All performances feature Rick, accompanied by top jazz musicians in the industry. In addition to his talent as a performer, Rick is also an experienced educator. Jazz for Peace provides educational performances for all levels of academia, elementary through graduate levels. One of the goals of Jazz for Peace is to expose students to the wonderful art form of jazz. Rick enjoys performing in the schools very much. The theme of a recent master-class with jazz greats Rufus Reid and Billy Hart was "The Evolving Role of the Rhythm Section Throughout Jazz History." Another recent elementary school performance was "The History of Jazz Styles." These are just a few examples. Rick is an innovative and acclaimed jazz artist who will provide an enlightening event that will surely be a thrill for all attendees. Jazz for Peace is a professional jazz group led by internationally renowned pianist/vocalist Rick DellaRatta. Their concert at the United Nations in New York on September 25, 2002 (featuring Israeli, Middle Eastern, European, Asian and American jazz musicians performing for an international audience) is now considered one of the most significant cultural events of our time. All performances feature Rick, accompanied by top jazz musicians in the industry. Jazz for Peace is a non-profit organization with several immediate goals including: to continue our benefit concert series which this past year raised money and awareness for over 50 Organizations which we have listed on our website as well as created the foundation for further collaboration, expand Jazz For Peace™ Concerts to other Cities, States, and Countries, help to bring music back into the schools and Jazz into schools (many for the first time) so that children of today will gain the exposure, understanding and acknowledgment of America's greatest art form that previous generations did not have, and to donate musical instruments to underprivileged children World-Wide. ”When we fill our souls up with creativity, artistry and intelligence, things of that nature, we have a better chance at avoiding the behavior that leads to destruction." In addition to his talent as a performer, Rick is also an experienced educator. Jazz for Peace provides educational performances for all levels of academia, elementary through graduate levels. One of the goals of Jazz for Peace is to expose students to the wonderful art form of jazz. The goal of the Education series is to motivate children while introducing them to a music that is an integral part of our American Culture. 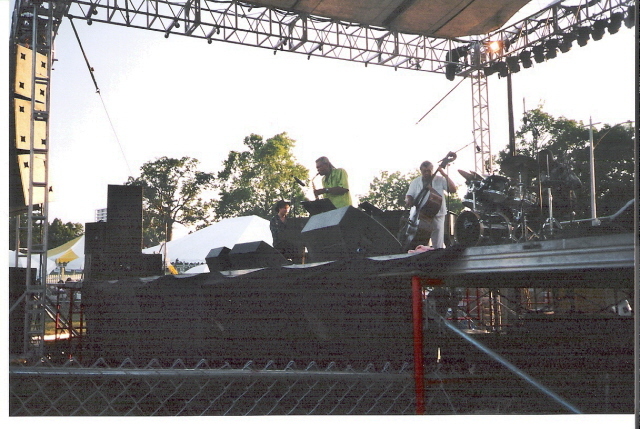 A typical Jazz for Peace Education Concert would: demonstrate the different styles of jazz explained through the cultural evolution and geographical migration of the art form, demonstrate the typical roles of various instruments in a jazz ensemble, and experiment with various methods of involving the audience first hand on the musical experience. Jazz for Peace is an active supporter of keeping music and other arts in schools. Our education series is also working to collect and repair used instruments to donate to schools in need everywhere. 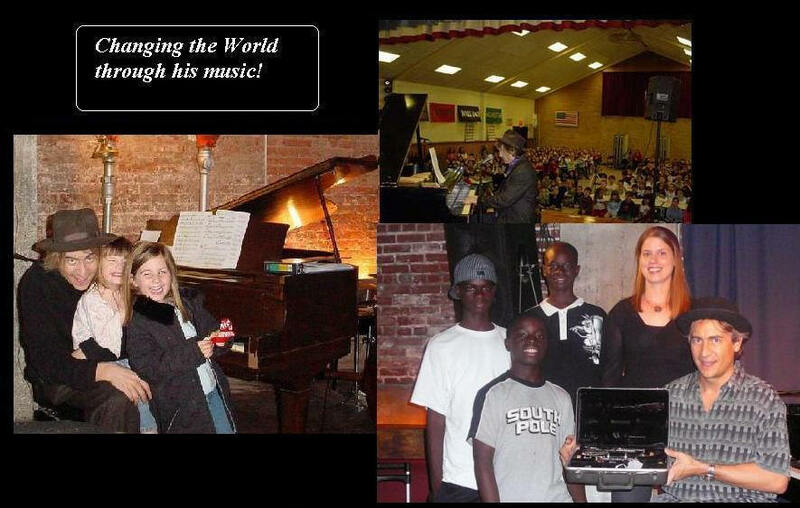 Additionally, we believe that music education is an integral part of a complete rounded education. Jazz is a powerful voice in our American heritage. It is an outgrowth and melting pot of many musical genres including African rhythms, blues, and ragtime. Therefore, it is important that we are exposed to our culture as a basic socialization process. Additionally, it has been a voice for many in a variety of social situations. The evolution of Jazz has been rapid and constantly changing, a mirror of the culture that produced the art. An example of the profound impact of Jazz through culture is Charles Black, whose work on the civil rights case Brown vs. Board of Education was inspired by the playing of Louis Armstrong. “It was an era of racial segregation in Texas , and Black had grown up believing that "Blacks were all right in their place," as he later recalled. But facing the magnificence of Armstrong's playing, Black wondered, "What was the 'place' of such a man, and of the people from which he sprung?" Additionally, music, particularly improvised music such as jazz, has been a proven stimulator of the intellect in children. Finally, Jazz has extended beyond our boarders to become and internationally recognized high-art form that grew out of American culture. This music speaks for our culture in many other countries around the globe, but sadly our own children are often not exposed to its importance. Jazz education, crucial though it may be to our understanding of our own history, often is overlooked by a standard curriculum. Jazz for Peace exists to motivate, inspire, and expose. If you are interested in discussing the possibility of Jazz for Peace coming to your school please respond with your phone number and the best time to reach you. If you know someone who may be interested, please forward this e-mail freely. Thank you for your time and I look forward to lighting up the imagination of your students.